REQUEST OUR NEW PATIENT SPECIAL FOR $549 AND DISCOVER YOUR HORMONE LEVELS + DEVELOP A PLAN OF ACTION WITH OUR DOCTOR! *Cost of medication & treatment will vary based on unique results. Many middle aged and older people feeling the side effects of declining human growth hormone (HGH) levels in their body will find themselves dealing with a dip in their overall wellness. They may experience any number of symptoms including weight gain, fatigue, depression, an inability to build muscle like they used to and even a decrease in libido. The decrease in HGH levels impacts the body in a noticeable way. This is where Doctor’s Best Health can help; we offer a unique treatment known as HGH Growth Hormone Therapy which restores those levels back to where they once were so you can enjoy the things you love the way you used to. This hormone treatment has helped so many people improve their quality of life, living stronger and healthier for a true rejuvenation in vitality. 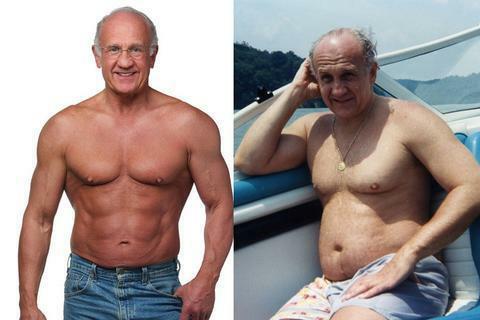 HGH or Human Growth Hormone, simply put, is what allows your body to evolve from child to adult. While this is it’s most critical role, it also does a lot more; it is what pushes your development along, acting as the catalyst that regulates and stimulates cell growth and regeneration. It is also very necessary for building lean muscle, bone strength and for keeping the balance between fat metabolism and muscle growth. Why Human Growth Hormone Therapy? Growth hormone therapy virtually turns back the clock; it replaces what time has taken. It works by slowing the age related issue and even reversing some effects. HGH Therapy is linked with a plethora of benefits including an increase in muscle tone, excess fat loss and rejuvenated skin, thanks to the renewed ability for skin cells to regenerate. Age management and health professionals have been using HGH therapy on a widespread level, making it an industry standard that helps thousands of patients reach an increase and improvement in vitality. Rejuvenated libido and sexual performance. Increased sleep quality : this leads to improved brain function, decreased risk of obesity, and better moods. Contact us and speak to a Doctor’s Best Health specialist to see if growth hormone therapy is the “Fountain of Youth” you need to rejuvenate your life!